This powerful story of family greed, brutality and deceit, based on a novel by Zola, was brilliantly realised by director André Antoine. 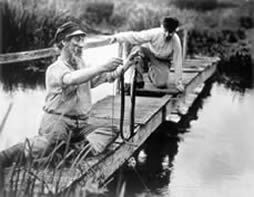 He filmed mainly on location, in the Cloyes region near Chartres, liberating the camera and focusing on real life. With his company of actors working alongside local peasants, Antoine’s approach anticipated the neo-realist movement of the 1940’s.